Biryani is the soul food of Pakistan. If two or more people are going out and biryani is not in the list of optional foods to eat, you haven’t lived a life as a foodie. A pure foodie knows the value of biryani. Biryani is the food the Nawab’s and Maharaja’s of the subcontinent had. Although biryani has had several versions and it has evolved quite a lot during the past few centuries but the final outcome of what biryani looks like is here today, in front of us. Biryani was usually cooked for the emperors, special guests, and delegations. In such situations, the biryani was usually made of mutton and beef meat. The Wazirs and court officials had special vegetable biryanis cooked in their houses or for them in official dinners. Only in state dinners if any court official was invited would they have the opportunity to have meat biryani. Having a meat biryani was considered a delicacy which only the rich could afford. The chicken came into use by the court officials because it was less expensive and they would also get a chance to have some meat with their food. 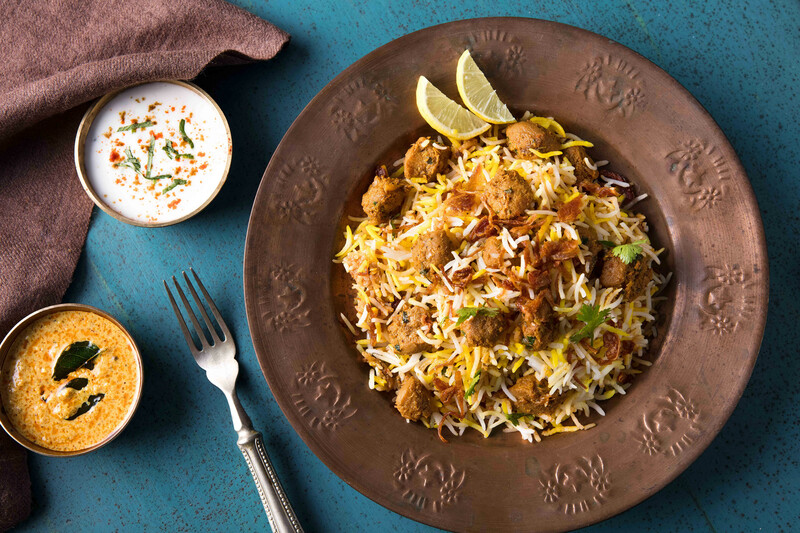 The Mughal Empire brought about the fusion of biryani in its present form today. Biryani comes from the Persian word biryani, which means dum cooked. In this certain biryani rice are boiled separately and the vegetable masala or the meat masala is cooked separately and then mixed together and put tighter on the stove to give them a pre-mixed steam. This helps the flavor to mix properly with the rice and give the rice the fragrance they give. Tehari is the vegetarian version of biryani. It was developed for the Hindu bookkeepers of the Muslim Nawabs. It is prepared by adding the potatoes to the rice as opposed to the case of traditional biryani, where the rice is added to the meat. In Kashmir, Tehari is sold as street food. Tahari became more popular during World War II when meat prices increased substantially and potatoes became the popular substitute in biryani. For example, Lahore also has several different varieties of biryani available and some are of different varying prices. Usually, the more expensive the biryani is, it is considered cleaner in the sense that proper meat and rice are used and the spices are biryani specific and not dirty. The cheaper the biryani the more unhygienic it is considered and it usually has less rice as well. The standard operating procedure of serving biryani is half-plate or full plate. A half plate has one piece of meat depending on what kind of meat is being used, the choice is usually mutton, chicken, and fish. The full plate has two pieces of meat and obviously more rice. The healthier and cleaner versions of biryani are available in DHA Lahore. To start with Haji Restaurant in Y block has started serving really good biryani and really close by is Doger Restaurant and they serve a slightly cheaper version of the Haji restaurant biryani. Then there are two shops in Y block Gol Market, one with the name of Karachi Naseeb Biryani, they serve excellent biryani and the price is really good for what they serve. The other shop is Biryani express in Gol Market, their main outlet is in H block DHA. There are only 2 places in H block DHA that serve good biryani, one is Biryani Express and the other is Akhter Nihari House, right next to Bismillah store. A recent entrant in the field of biryani is Jaidi Biryani Restaurant. They have a complete package which includes achar, raita, shami kebab and a 500 ml coke to go with it. I would suggest that one should try all the biryanis first and then settle on which one you like the best.